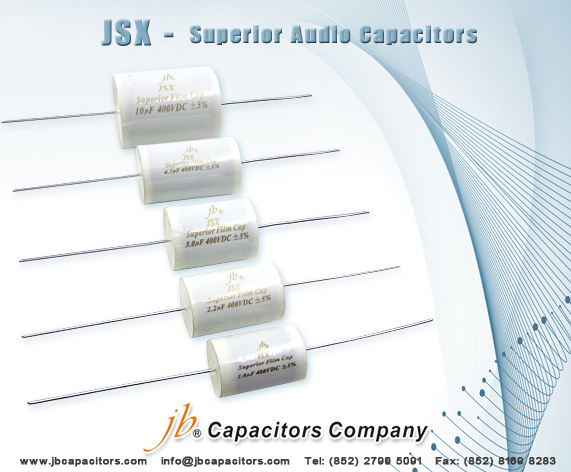 Have you ever try jb Capacitors Audio Capacitors JSX? What’s your using experience? Here we will share a comment from an expert on testing audio capacitors to you. In his test capacitors list, only our brand jb Capacitors Company is a Chinese Company, but our capacitors evaluation is relatively high. 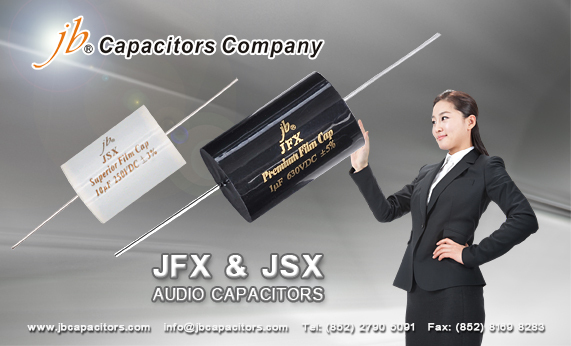 This shows the performance of our jb Capacitors Audio Capacitors JSX can be comparable with foreign products. What’s more, we can offer a lower price with good quality. It will help you reduce your cost. 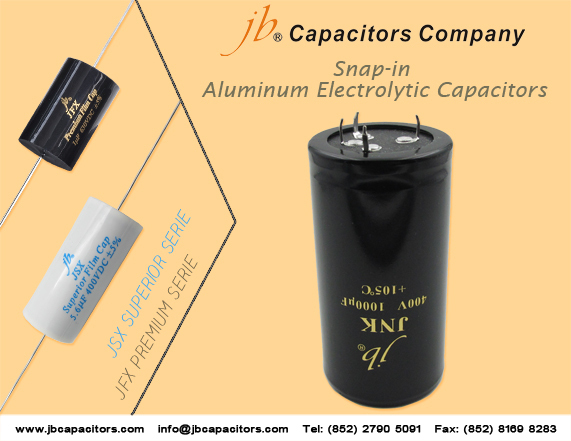 jb Capacitors ---Just Your Best Choice! We are sincerely looking forward to cooperate with you. Please feel free to contact us if you have any needed. jb is specialized in production of different type capacitors, offering our customers the best quality products with fast delivery and the best after sales services. 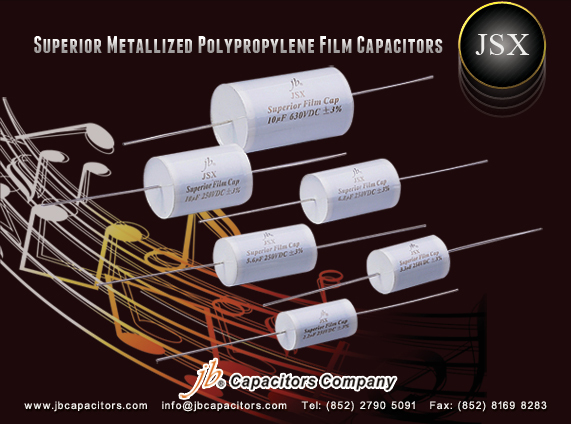 As you know, normally, JSX Superior Metallized Polypropylene Film Capacitors biggest capacitance value is 100uF. 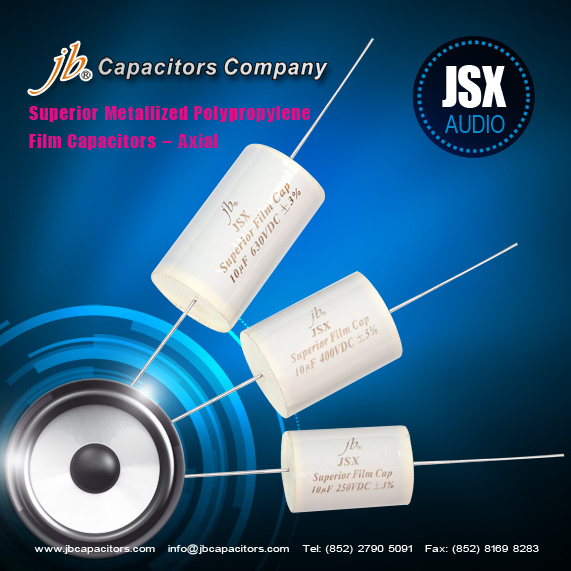 Good news to enjoy with all of our jb customers that we are capable of manufacturing capacitance value up to 150uF Audio Capacitors. And not only that, owing to our good production capacity, we can product even larger capacitance to 300uF, it just be based on your specific requirements. We hope jb professional manufacturing ability will leave deep impression to you. Do you interested in it? 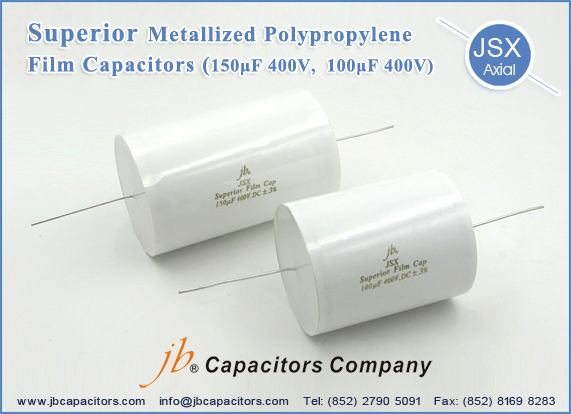 If you want to know more about our jb capacitors information, please see: http://www.jbcapacitors.com/ or communicate with us freely. In order to give best support to fans of jb Superior Audio Capacitors, we specially arranged below stock samples on hand. If you have interesting in testing our capacitors, please feel free to contact with us. 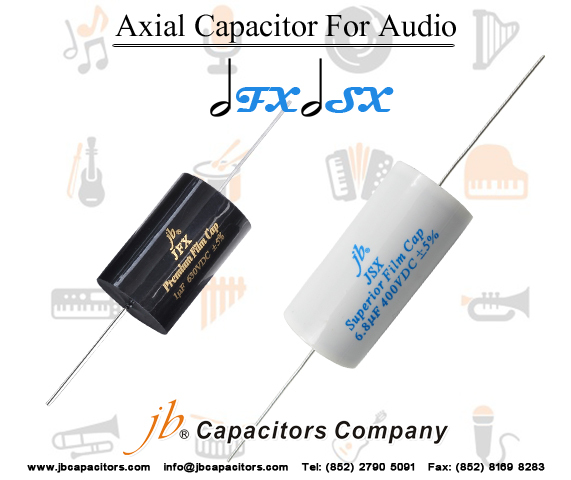 jb April Special Offer---High End Audio Capacitors Make Your Life Full of Beautiful Music! 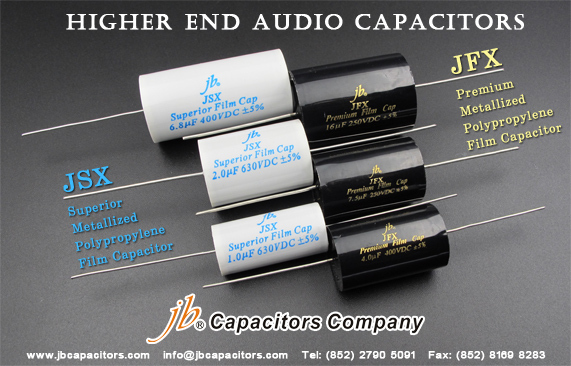 Are you ready to use jb High end audio capacitors in your equipments? You will find the excellent sound effect! Free samples are available for all of you...come on...we are waiting for your any inquiries! 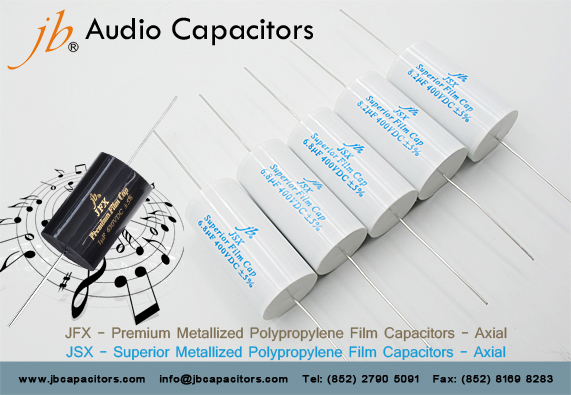 Sometimes, customer will be confused by the so-called "outer foil" or the "inner foil"of our audio capacitors. Today we would like to tell you more about this point. I am sure you will understand by below customers explanation.
" I have all my JFX caps soldered in at the moment, but plan to try some Jensen caps in place o them, so i will try to do the test as well. With a sensitive millivolt AC meter i think you could see the difference just by connecting it one way and touching the cap. The induced mains hum will be higher when the outermost foil is connected to the anode of the meter(maybe). I think more and more that this is an example of "audiophile", which means that people searcing for better and better sound, and not always exactly knowing the technical aspects of it, they will assume one way is better because another cap manufacturer said so. I feel that the JFX is a solid performer in either direction used(after all it is a bipolar cap as you stated), and i feel that the price/performance ratio is excellent." An old saying goes "No pains, No gains." In this year, jb Resource and Development department sacrificed lots of time and energy on designing your new product JSX. In the process we encountered complicated engineering problems, once upon a time, we had an idea to give up. But we are not. Perseverance and devotion make us success in the end. We consulted to some rich experienced audio capacitors designers and collected vast end user's using findings to upgrade and improve our JSX. 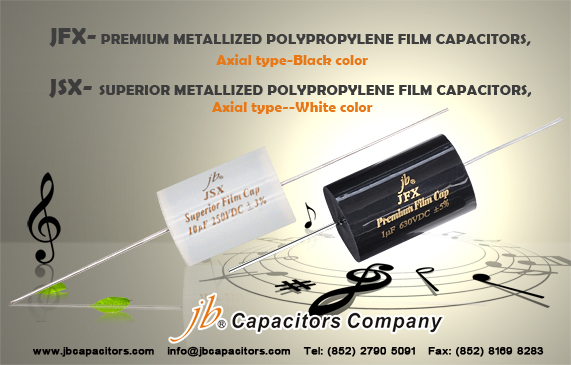 At the moment, we would like to invite you enjoy the most true testimonials about or JSX Superior Metallized Polypropylene Film Capacitors. Believe it or not, you can try our JSX yourself and let us know how you comment about it.